If you arrive in Nadi, then the first step is to get to Suva. - a Sunbeam or Pacific bus direct from Nadi Airport to Suva. Cost is approximately F$18.00. - fly with Fiji Link, the domestic subsidiary of Fiji Airways. Booking and information available on their website (www.fijiairways.com). - fly with Northern Airways. Booking and information available on their website (www.northernair.com.fj). -- we can arrange a taxi. Cost is approximately F$220.00..
Once you are in Suva, next stop is Levuka. Patterson Brothers Shipping Service offer a bus/ferry trip from Suva to Levuka. This involves about two hours on a bus to Natovi Landing, one hour on the ferry,, then another hour on the bus to Levuka. The bus departs Suva at 1.30pm (reporting time is 1.00pm). Please note that for the return trip to Suva, the bus departs Levuka at 4.00am. For more information on schedules, booking and prices, e-mail at fijisearoad1@gmail.com. 1. Suva to Levuka: departs Tuesday, Thursday and Saturdays. The air-conditioned coach leaves Suva at 11.00am from the Western Bus Stand opposite the Flea Market: (reporting time is 10.30am). The coach drives direct to Natovi Landing (takes about two hours), then on to the ferry direct to Levuka, arriving at approximately 3.30pm. Tickets from Suva can be purchased from the Ticket Booth located at the Market Carrier stand beside Bio-security office. 2. 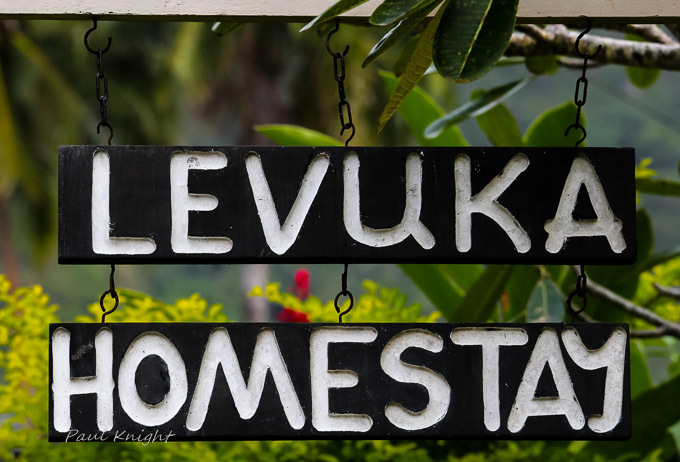 Levuka to Suva: departs Mondays,Wednesday and Fridays. The coach loads up in front of Outback Range Limited supermarket in the main street of Levuka at 7.00am (reporting time is 6.30am). The coach drives to the Levuka Wharf (about 5 minutes), on to the ferry and takes about two and a half hours for the scenic trip to Natovi Landing, where it drives off the ferry and takes about two hours to arrive in Suva. Tickets from Levuka can be purchased from the Outback Range Limited Supermarket in Levuka. The coach does not pick from Nausori (Suva) Airport airport but can stop at the Nausori town end, opposite the FNPF Nausori office at around 11.30am. Arrangements can be made by contacting Venu Shipping - phone them at +679 3395000 or e-mail at vsl@kidanet.net.fj. Northern Air Services fly between Suva and Levuka daily from Monday to Saturday, departing Nausori (Suva) Airport at 8.00am for the twelve minute scenic flight to Levuka. They then return to Nausori at 8.40am. 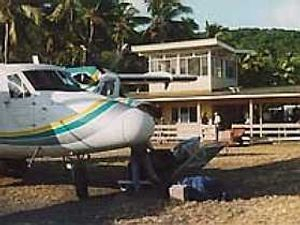 Bookings for flights between Suva and Levuka can be made on line (.www.northernair.com.fj) or by phoning + 679 3475005. Currently, the cost for a one way ticket is F$85.75 (between Suva and Levuka). Captain Cook Cruises, who are based at Denarau in Nadi, are running four 7 Night Colonial Fiji Discovery Cruises this year on the MV Reef Endeavour. 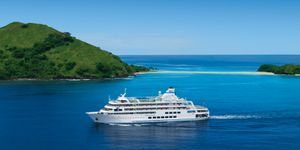 This cruise leaves Nadi and the next morning arrives in Levuka. It then takes another six nights to cruise back to Nadi. So why not combine a cruise one way and conventional transport the other.